Gov. Mike DeWine in Dayton. 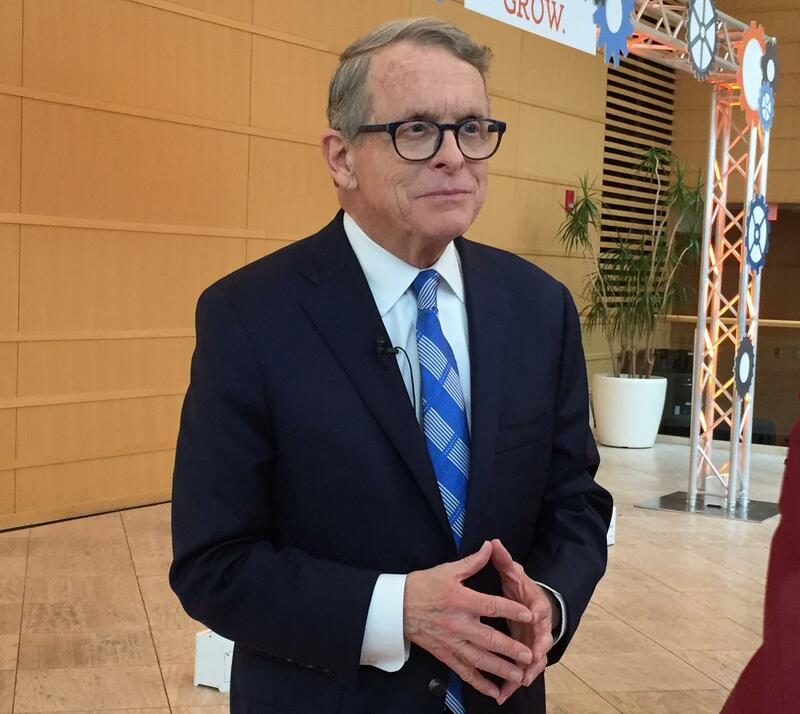 Governor Mike DeWine says his administration has no plans to intervene in the Wright State faculty strike. The strike is in its sixteenth day and no contract negotiations are scheduled. This week, the university authorized the hiring of longterm substitutes to replace striking faculty. In a statement, Wright State officials say any replacement instructors who fill in during the strike would be temporary, qualified and asked to commit to teaching the rest of the semester. The AAUP faculty union’s picket line resumed Monday after weekend talks ended without a deal. Health care remains a major sticking point in the labor dispute. In downtown Dayton Wednesday, Ohio Gov. Mike DeWine says his office has been in regular communications with Wright State officials, including Wright State University president Cheryl Schrader. “We're very concerned about it but I have no plans at this point to do anything further other than to monitor what's going on. You know, When a governor becomes involved, that's a major input. You have to be very careful when you do that,” the governor says. The university's administration maintains the majority of classes at Wright State are covered. Earlier this week, officials canceled some classes for the remainder of the term, saying most of the canceled classes are, "specialized." 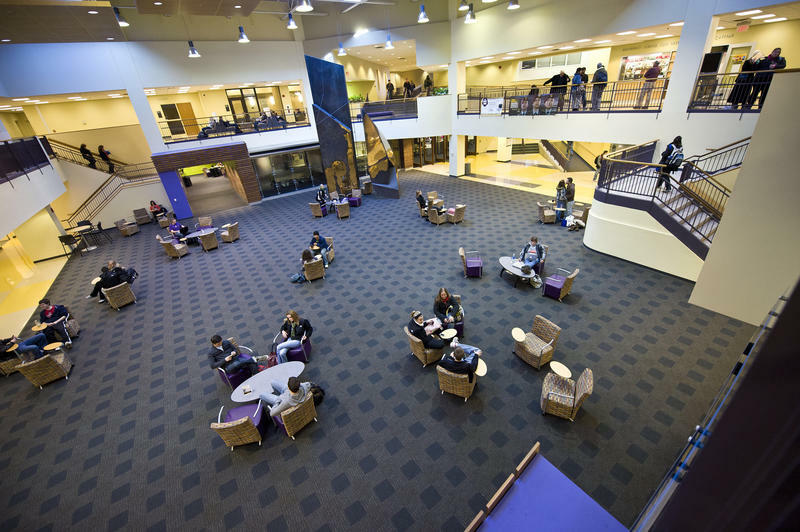 Other affected students have been offered alternative assignments. Wright State’s administration is urging students to meet with their advisors and academic staff to ensure they’re on track for graduation. The Wright State faculty union strike is in its fourteenth day. And while negotiations resumed over the weekend between the administration and the union, no agreement was reached. So, Monday afternoon union members returned to the picket lines, joined by dozens of students and community members. The picket line stretched for almost an entire block near the entrance to Wright State’s Fairborn campus. Lining the curb were more than 100 people cheering in support of striking faculty members. 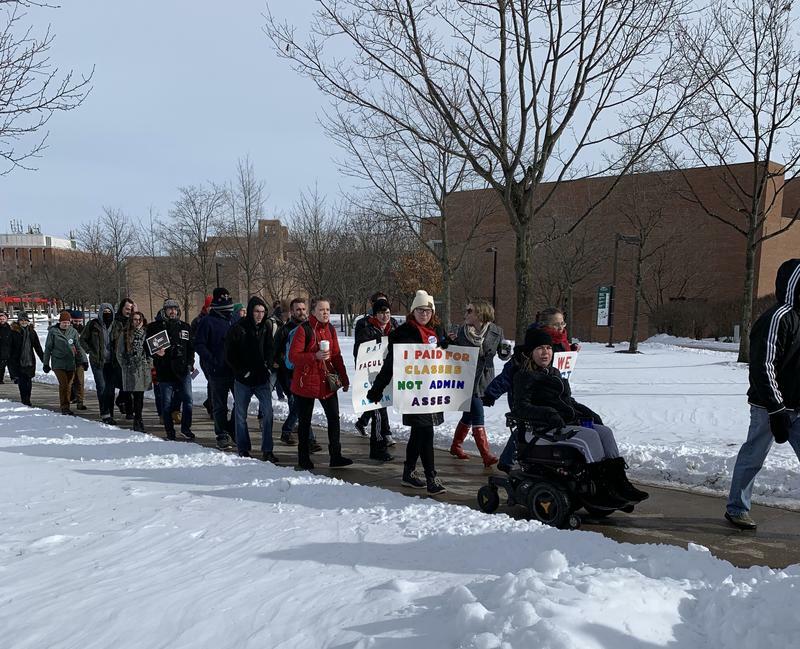 Negotiations resumed Friday between the Wright State University administration and the faculty union, 11 days after the faculty strike began. The walkout has now gone on longer than all but one higher-education strikes last year. William Herbert, director of the National Center for the Study of Collective Bargaining in Higher Education, says that while most strikes are typically resolved within a week it’s not unheard of for them to last longer. An Ohio labor board has ruled the faculty strike at Wright State University can continue.